In the 1990s, an entire generation tuned into a New York college radio station as radio duo Adrian “Stretch” Bartos and Bobbito “Kool Bob Love” Garcia unleashed a hip-hop stream of consciousness that catapulted the careers of artists such as Nas, Eminem, Jay-Z, The Notorious B.I.G., Big Pun and countless others. Their Columbia University show, dubbed 89 Tec 9, was instrumental in the evolution of New York hip-hop and beyond. It celebrated underground hip-hop when few others did, and played an integral role in shaping hip-hop radio overall. Countless hip-hop heads, many who are now titans of culture, stayed up until 5 a.m. on Thursdays to catch the show. A great freestyle on their show could solidify an aspiring lyricist’s place in the inner sanctum of hip-hop. And if Stretch and Bobbito cracked jokes with you, that was it. You’d made it. “That was the first spark. From there, things start happening,” says Jay-Z in the recent documentary Stretch and Bobbito: Radio That Changed Lives. “At that time, your show was the most important show in the world,” Nas told Stretch and Bobbito in the documentary. “You guys opened the door for us, the next generation.” It was to their show that “Nasty” Nas (as he was then known) brought in a cassette of the unreleased Illmatic to share with the world. After a 19-year hiatus, Stretch and Bobbito make their official return to the airwaves courtesy of a new NPR podcast called What’s Good with Stretch & Bobbito. They landed Dave Chappelle for their first episode, and on upcoming shows they’ll chat with Stevie Wonder, Mahershala Ali, Eddie Huang, and Chance the Rapper. 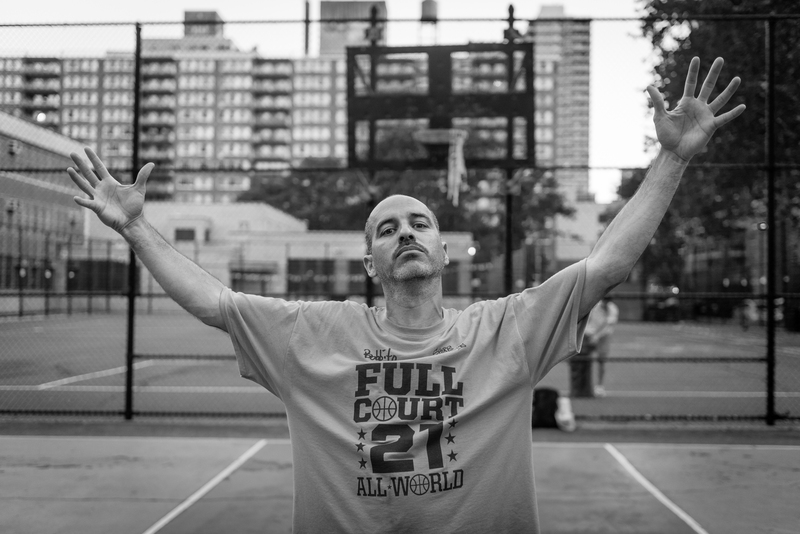 Stretch and Bobbito are now authors, filmmakers and sneaker designers and they both continue to DJ around the world. “Our show reached so many people who not only shaped hip-hop but also went on to touch other facets of culture from sports to media,” said Garcia. “Now hip-hop is … mainstream culture and we can have a larger conversation that reflects those early days but opens up the dialogue about where we are now.” In the days leading up to their return to the airwaves, we followed the duo through New York. Stretch Armstrong (left) and Bobbito Garci (right) were radio personalities from 1990-98 and are returning to the airwaves after nearly a 20-year hiatus with a new show called What’s Good With Stretch & Bobbito. 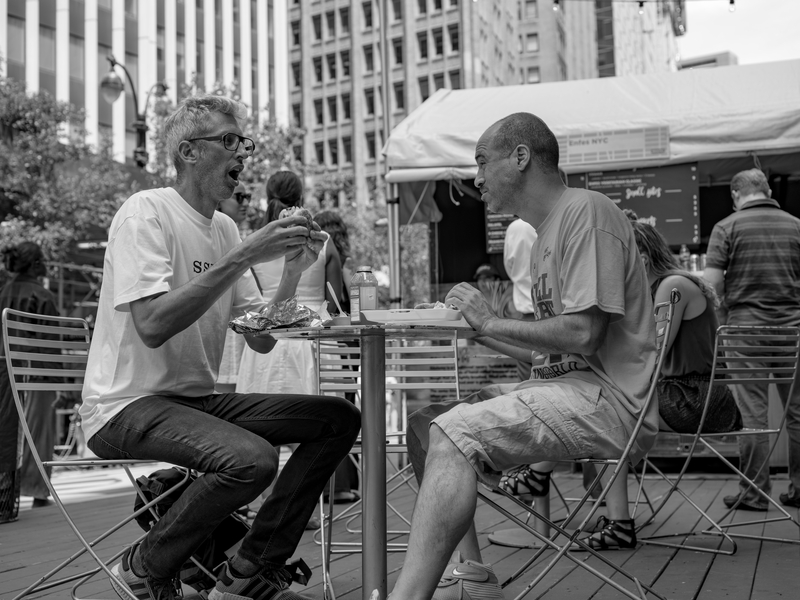 Stretch and Bobbito have lunch on a patio outside while taking a break from recording. 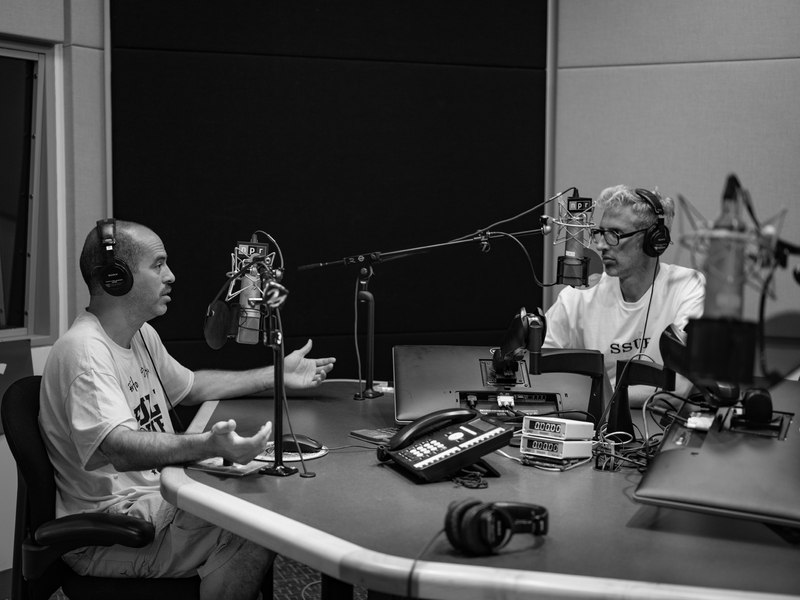 Bobbito Garcia (left) and Stretch Armstrong (right) record a segment after a nearly 20-year hiatus from radio for a new NPR show called What’s Good With Stretch & Bobbito . The duo took back to the studio with their usual antics and lighthearted humor. 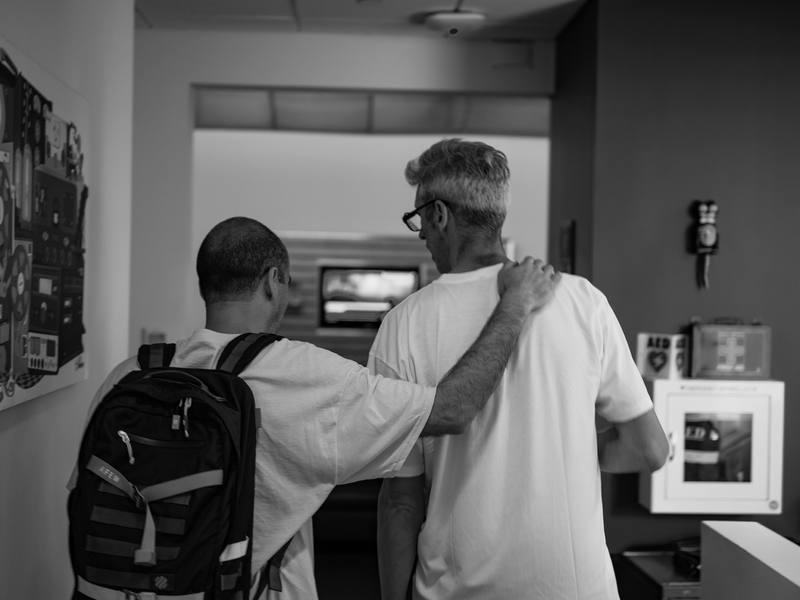 Bobbito Garcia (left) and Stretch Armstrong (right) finish up in the NPR studios. They were radio personalities from 1990-98 after nearly a 20-year hiatus, they are returning with a new show called What’s Good With Stretch & Bobbito. 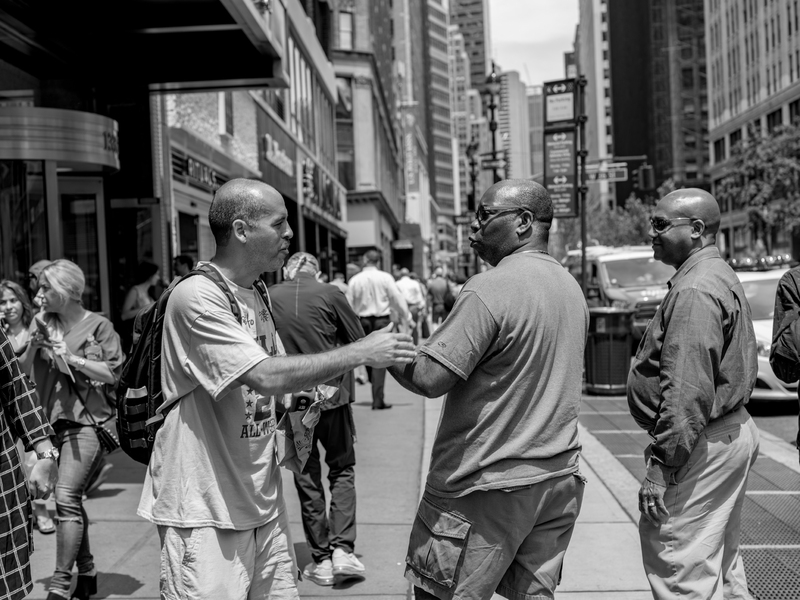 Bobbito Garcia is recognized while walking down the street and stops to embrace his fans. 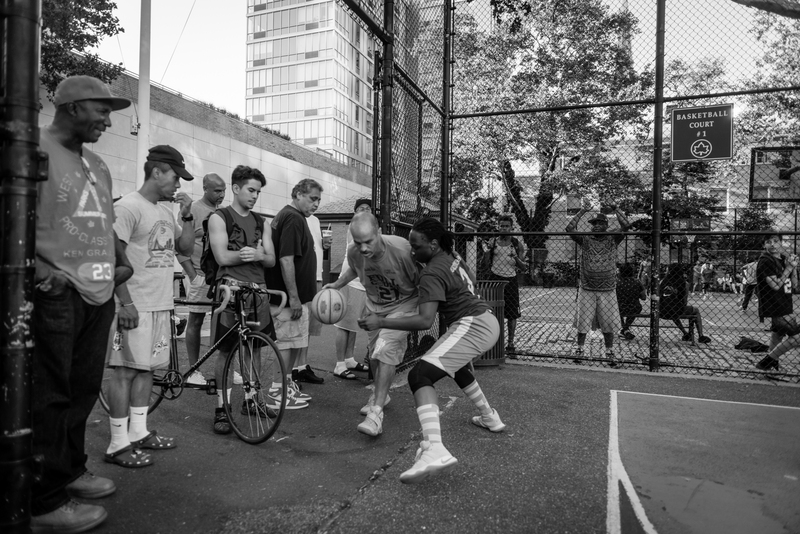 Bobbito (right) arrives at “The Goat Courts” in Happy Warrior Playground. 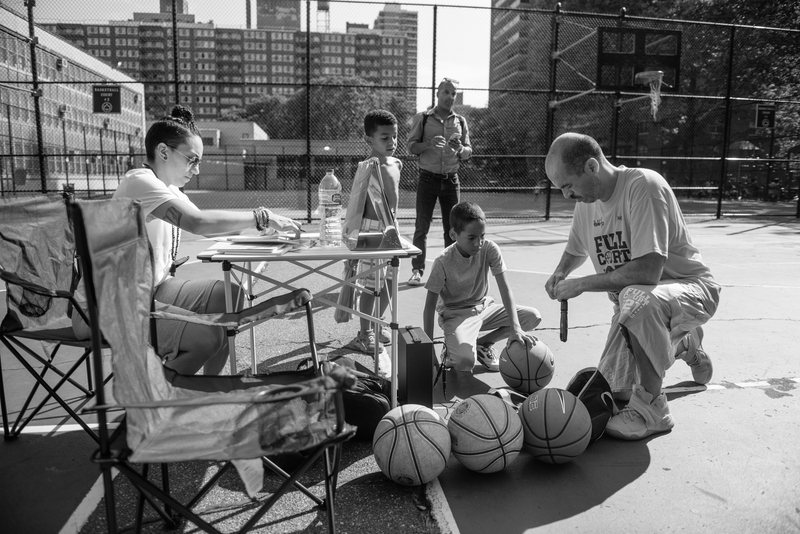 The basketball area of the park honors the memory of Earl “The Goat” Manigault (1944-1998) along with Nina Cruz (left) prepare for his Full Court 21 All-World Tournament with the help of kids from the community. 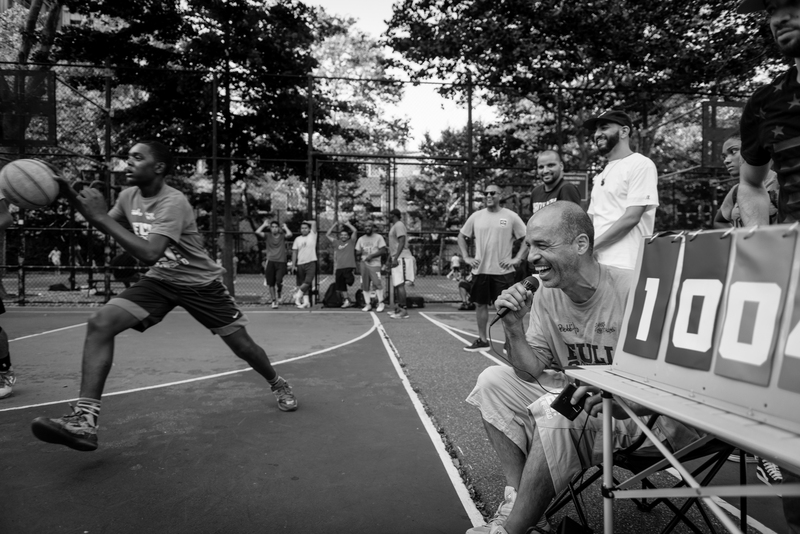 Bobbito joins in one of the qualifying games and holds the highest points throughout the game and eventually ends up winning the game. He returns to his announcing duties to round out the night. Bobbito joins in one of the qualifying games. There is no out of bounds on Full Court 21 and the defender Denisha pushes his into the crowd of spectators. 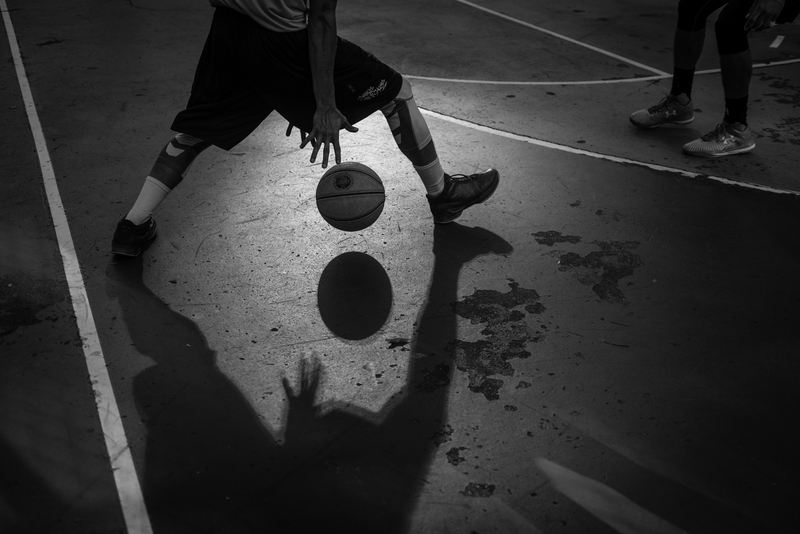 At the Full Court 21 All-World Tournament, players ranging from high school phenoms, seasoned street ball players to novices can be found at these games. They all get to try out for the finals once a week every Tuesday from July 18 through Aug. 15 for the NYC Final and All World Final on Aug. 22 in New York. 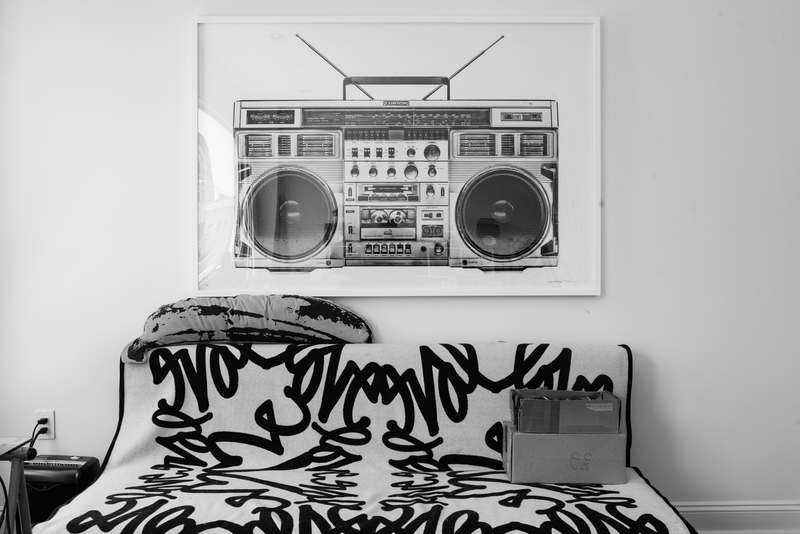 Stretch’s home office has artwork and boxes of mixtapes laid throughout the room. 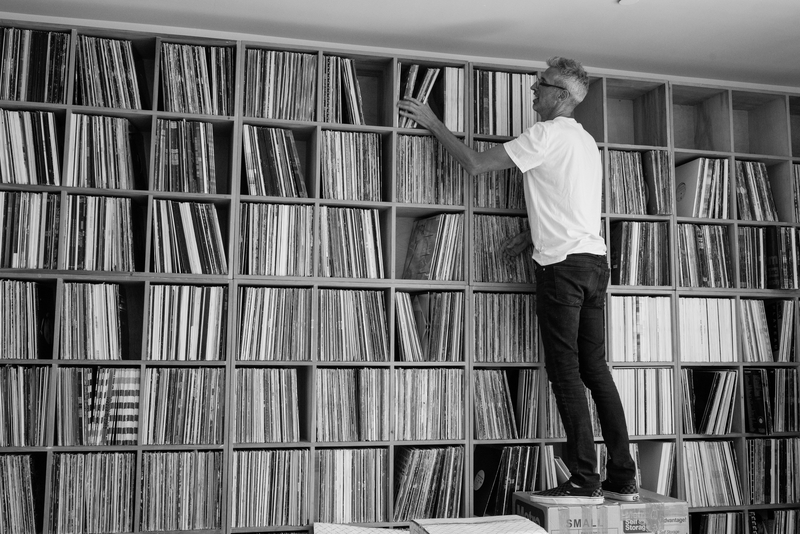 Stretch works on organizing his collection of records after recently moving into his new space. His collection has been accumulated since the late ’80s and continues to grow. Stretch being a vegan has recently started giving gardening try. He has a roof top garden where he is growing tomatoes and lettuce. Stretch, a vegan, has recently started giving gardening try. 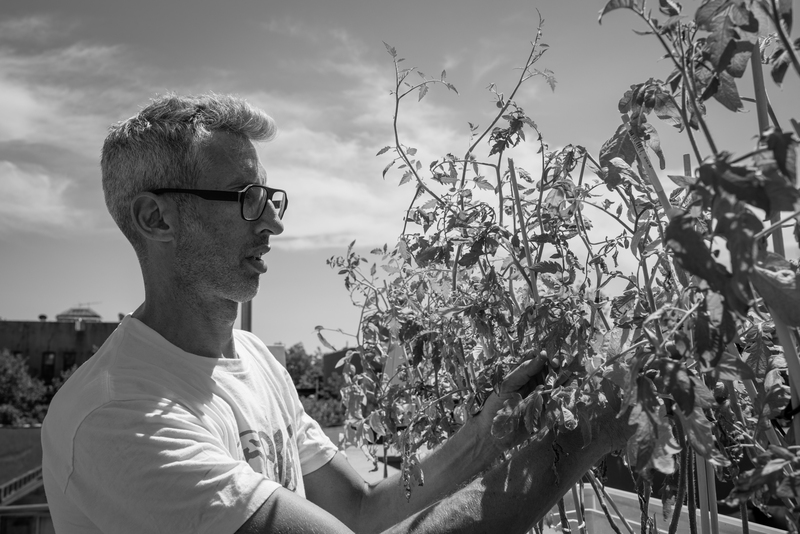 He has a rooftop garden, where he is growing tomatoes and lettuce. 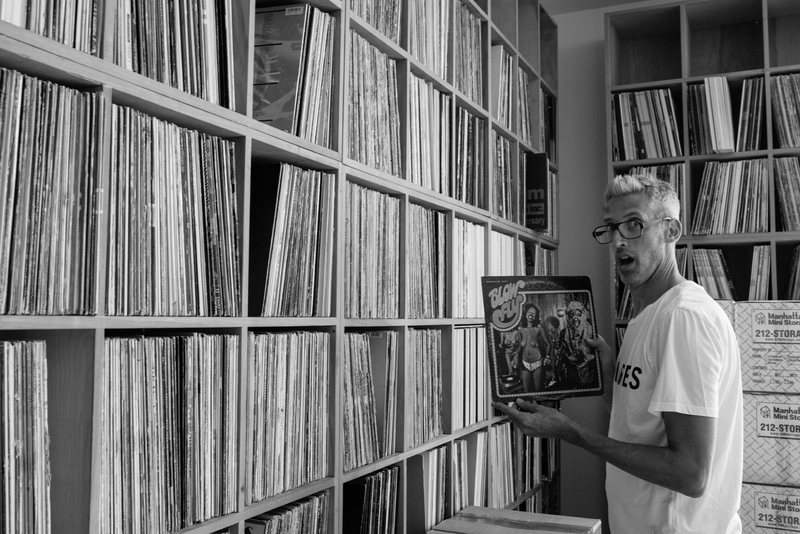 Stretch shows off one of his classic records as he puts them away in his new space. Vikki Tobak is a culture writer, independent curator and producer. Her works has appeared in The FADER, Complex, Mass Appeal, Narrative.ly, DJ Times, CNN, CBS, The Detroit News and other media. She is the creator of the Contact High Project: Hip-Hop Photography and Visual Culture which will be published as a book in Fall 2018 by Clarkson Potter/Crown/Random House. David ‘Dee’ Delgado (NYC, 1976) is a Puerto Rican independent photographer based in New York City. 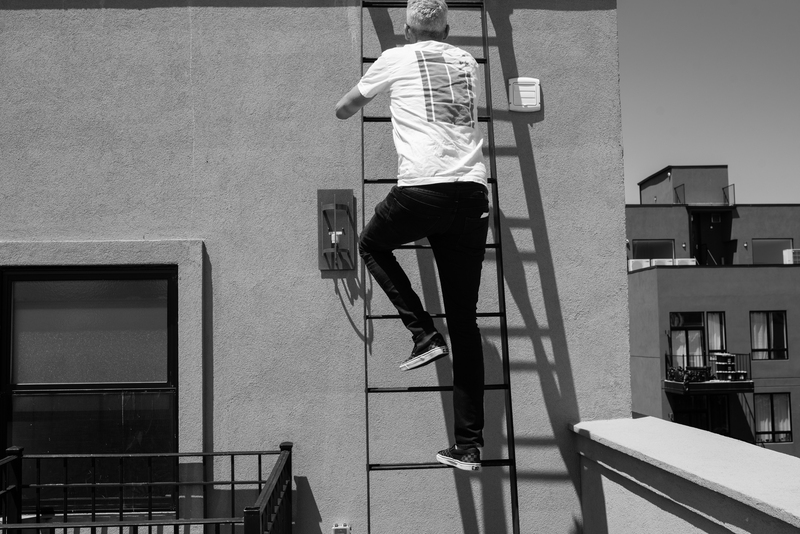 He is the co-founder of 5 Journal, an online magazine that features up and coming photographers.